Sharing knowledge, creativity, and craftiness in all things Halloween. Growing up, Halloweens have always been some of my fondest memories with my mom. The costumes were rarely store bought; her proficiency at sewing and artistic talents, made it possible to “be” anything (or anyone) I wanted. Once I had children of my own, I carried on that tradition. For instance, the day after Halloween, my oldest son would start excitedly planning what he was going to be the next Halloween, changing his mind frequently throughout the year. My daughter was born the day after Halloween so there were many Halloween-themed birthday parties. When my youngest son reached school age, we would throw epic Halloween parties that his entire classroom would be invited to. Then, one October, my kids and I had a conversation about how much we enjoyed Halloween and how we wished it lasted more than one day. That’s when we came up with the idea for our 13 Days of Halloween (before ABC Family made it cool). 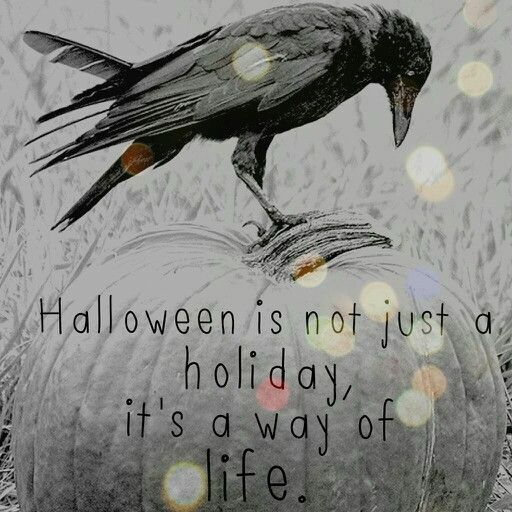 Every year, when October 19th rolls around, we begin our celebration of Halloween by having different themed days (witches, vampires, zombies, etc.). Every day there is a special dinner and movie devoted to that theme. All 13 days are celebrated and always lead up to the grand finale: Halloween night and trick-or-treating. Over the years, as my kids have gotten older and grown out of trick-or-treating, it’s become a tradition to host an annual Halloween party. Every year, friends and family look forward to attending this event. On more than one occasion, my family has been described as the Addams family of our hometown. For all these reasons, I have decided to create this blog to share my knowledge, creativity, and craftiness for all things Halloween. But I must warn you: here you will not find grinning ghosts or cheeky skeletons. At 13 Days of Halloween you will find that hair-standing-on-end-bump-in-the-night-enchantment which makes Halloween so fun.